Dr. Sabine Zenker welcomes us to her clinic in Munich, Germany and she shares her thoughts on cosmetic dermatology, technology, and the operations of her clinic. Dr. Sabine Zenker is a well know European dermatologist who has a passion for clinical research and teaching that we've been wanting to interview for some time. We finally got together to learn what this German dermatologist thinks. That's interesting: Dr. Sabine Zenker is the consultant dermatologist for L'Oreal Paris and an internationally recognized authority on micro-invasive techniques. She is well known for her clinical research into both established and innovative technologies and treatments, teaching, training, and continuing professional development both in Germany and internationally. Why did you choose to specialize in dermatology? During my university days, I got attracted to Dermatology because our professor was fabulous. Dermatology is a specialty based on visual analysis: I learned to watch, to see, to describe, to analyze. Having specialized in dermatology, I trained with one of the renowned dermatologists specializing in Aesthetics in Munich. This is where my enthusiasm for cosmetic dermatology started. Can you share your working principles? I am convinced that these days, being a doctor means you have to provide not only a high end service from the scientific point of view but also a special, exclusive and individualized care. This is why I kept my clinic small. It`s a single doctor based clinic with a handful cosmeticians, beauticians, as well as one anaesthesiologist who comes on demand. In addition to this, I work with a vast multidisciplinary network of doctors with different specialities. I refer my patients-not only in Munich but internationally. I personally perform all major procedures and I follow-up all cases as well. I am reachable. I give out my cell phone number and I also call my patients personally. In addition to this, I take my time in discussing and proposing different solutions for any patient's needs, elaborating the case to the patient –even if this consultation might take an hour. Once a treatment plan is decided, especially in aesthetics, I am convinced that offering all inclusive solutions with a “cost-airbag” makes the patient's life as well as the doctor's life easier. Every day offers a chance to learn. Being a teacher and a trainer in Aesthetic Dermatology, I learn something new on any congress presentation, workshop and teaching course I participate all over the world. And this is how my patients can profit of these activities: breaking down this knowledge on every day's work means refining techniques for the provision of best patient care and the best aesthetic outcome of every procedure. Aside from being focused and up to date in aesthetic procedures, I am a strong believer that a medical doctor has to stay as a doctor. I do practice General Dermatology every day and with great passion as this provides the basic medical service to our patients and gives us the “right to exist”. What's your staff management plan? One of my principles in running a clinic is trust. It's not about controlling the staff but about working in a team. It's about knowing them in terms of character, work discipline and empathy. Having employees who cover segments you cannot perform is the key to success as competition is not the killing energy there. In our team, it's all about a longterm relationship. We are a family. We all believe in one another. It's probably because all of us did found and raise the clinic together. Over the years, this welds together! Firing was in the early days due to the lack of my experience. Compensation plan is very personal and friendly way in such a way that it will satisfy the individual desires and needs of the staff. For example, if there are unfortunate life events of our staff, they can get off work. No hierarchic and dictatorial behavior and management style. And for sure, I offer a higher salary than the usual in the market, with bonuses. I am not a machine-addicted girl. I still believe in good handwork and complex procedures. For me it's not about acquiring the latest technology simply because it's must-have but it's about finding the right solution for every patient's needs. I use IPLs, lasers and radiofrequency for various treatments such as permanent hair removal, treatment of broken vessels, lentigines, fat pad removal, etc. I am quite critical on using machines for skin resurfacing! I often prefer chemical peels. I do always buy my machines! Being a KOL it might come to the point –lucky me- that I don't pay the list price anymore. Once I'm really convinced that a new technology is effective, I will teach on this technology later as well as do research on it. What marketing techniques works well for you? I personally don't like to promote myself. I think that promoting myself is shady and untrustworthy.It's also about people's perception of such activities done by a doctor. In Germany, end consumers stereotype doctors to be serious and professional, that one shouldn't advertise these. A doctor's credibility is very important. If a doctor supports something, it seems to be more reliable. But it certainly shouldn't be in a blatant manner. I am lucky that I have been working with L`Oréal Paris for several years as their Consultant Dermatologist. Thanks to basically this activity, I know most of the relevant journalists in my country. They approach me directly and ask for interviews. This ends up nicely in editorials. Every job brings a new one-whether this might be another interview, a press conference contribution, a Facebook activity, a road show in some drugstores or a TV exposure. So I am convinced that it is very beneficial to built a good relationship with journalists. I also contribute in scientific articles, peer-reviewed papers and end consumer press. I also write editorials and sometimes I am lucky to be part of the editorial board of medical journals such as American/European Aesthetic Guide, Bodylanguage and PRIME. It's more about sharing expert knowledge and specialized know-how on special procedures, individual concepts and innovative technologies in Aesthetic Dermatology. As I am running a MedSpa too, I don`t have any problem in having someone who gives support in communicating the services we are offering. It may happen that I do hire someone to grow the business there too. What treatments and service do you offer in your clinic? How do you stand out from your competitors? Treatments which have low investment are chemical peels, Moh`s surgery and Platelet Rich Plasma for skin rejuvenation. Toxins and fillers are certainly among the most wanted procedures however, a doctor’s investment is quite high. There are certain products that eat up quite a big amount of earned money as well. Treatments with low downtime or biostimulating/natural ones that are accepted and chosen easily by patients are light chemical peels and PRP. Treatments with a high affinity to a special doctor, meaning those treatments are exclusive to the doctor's expertise/experience/invention. For example, I suffered from severe melasma for many years, missing any effective solution after trying out hundreds of topicals and countless unsuccessful treatments. As a consequence, I developed an anti-melasma-peel in cooperation with a local pharmacist. This works perfectly and resolved my problem. Many patients have known about this and they indirectly promote this in chatrooms and come for this treatment in my clinic. Furthermore, it`s all about refining our techniques, being more accurate, distinguished and delicate. Treatments such as injecting a dermal filler material with an injection system will reduce injection pain, increase preciseness and lower material amount needed. This does attract people and let them undergo procedures such as injecting the lips more easily. And it`s all about customizing our treatments, breaking them down to our patient's needs. And last but not least it`s about being innovative and offering new technologies such as ones who do resolve problems we didn't have good options for in the past. Kinetic Hyaluronic Acid. It`s about a machine which jets in HA for mechanical fibroblast stimulation for collagen remodeling to treat stretchmarks, acne scars, and other scars such as hypotrophic ones effectively, with no pain and minimal downtime. This option hasn’t been available in the past. Doing and saying all this I want to emphasize that it's not easy. If ever a new technology fails or if it doesn’t work, your reputation is gone quickly. Offering all these above-named concepts can help differentiate one's portfolio and expertise from the mainstream. Do only whatever you would like to be done by someone on yourself. Feel secure and mature in whatever you do to others. Don't hurt anyone. Be reliable, transparent, honest, sincere. Never recommend treatments/procedures you don't believe in just to earn money. Give something for free! Don't be willing to negotiate your price. If ever a patient says he/she can get it for a 50% discount with the doc around the corner, tell him: “My gosh, go there! You will never get this so cheap anywhere else!” Some women patients NEED a MAN to treat them: send them to the best looking man doc around the corner! Don't treat the “shoppers” who go to every doc in town –and who didn`t find a good one so far. Otherwise YOU will be the next BAD doc!!! Aesthetic procedures are not necessary to survive: In performing them we have to be even MORE serious! Honestly, nothing did ever go really wrong on the medical know how level. Only one thing: I lost a lot of money in the beginning of my practice. I trusted all my patients without any second thoughts. I didn't bill them immediately after the treatment for aesthetic procedures. 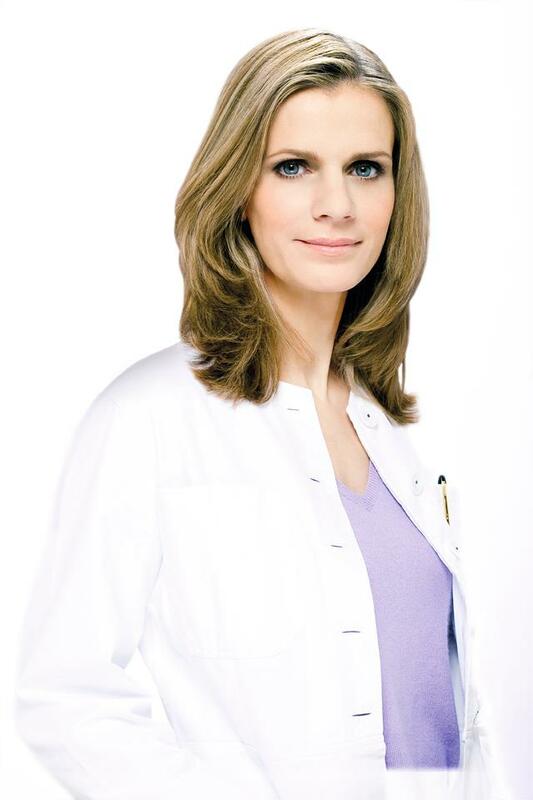 About: Dr. Sabine Zenker is an internationally renowned board certified dermatologist (Ludwigs-Maximilians-University Munich, 2003) and founder and owner of the Dermatology Surgery Clinic located in Munich, Germany. Dr. Zenker is a member of many national and international medical professional associations including the German Dermatology Society (DDG), the American Academy of Dermatology (AAD), the European Academy of Dermatology and Venereology (EADV), the International Society of Dermatological Surgery (ISDS), and other American professional associations such as ASCDAS, AAAACS and the Dermatologic and Aesthetic Surgery National League (DASIL). She is also a member of the Executive Board of the European Society of Cosmetology and Dermatology (ESCAD).